Communication Objectives: This lesson teaches learners how to describe animals by what they look like and what they eat. Language Objectives: The lesson will teach ESL learners how to describe zoo animals by appearance and by the kinds of things they eat. They will also learn to use similes to compare things by what they look like. 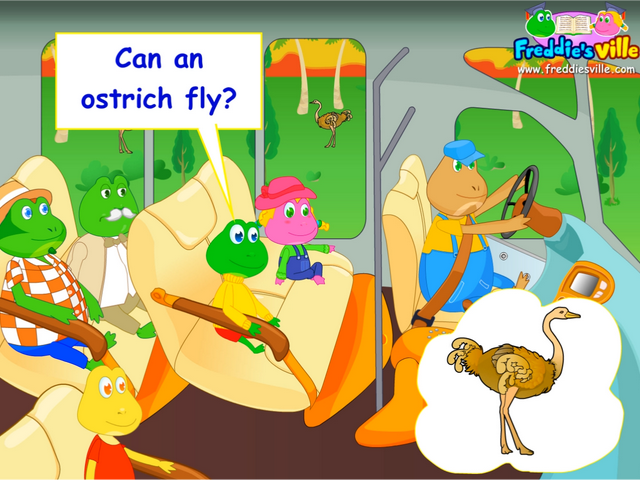 Dialogue Story: Dad is taking Lisa and Freddie out on a trip to the zoo. A zookeeper guides them through the zoo in a trolley. Freddie and Lisa have a lot of questions about the animals, which Dad and the zookeeper take turns answering. Lisa is so excited that she jumps out of the trolley to interact with the monkeys. She soon learns first hand that monkeys can be very good at mischief. Lisa's hat is gone!